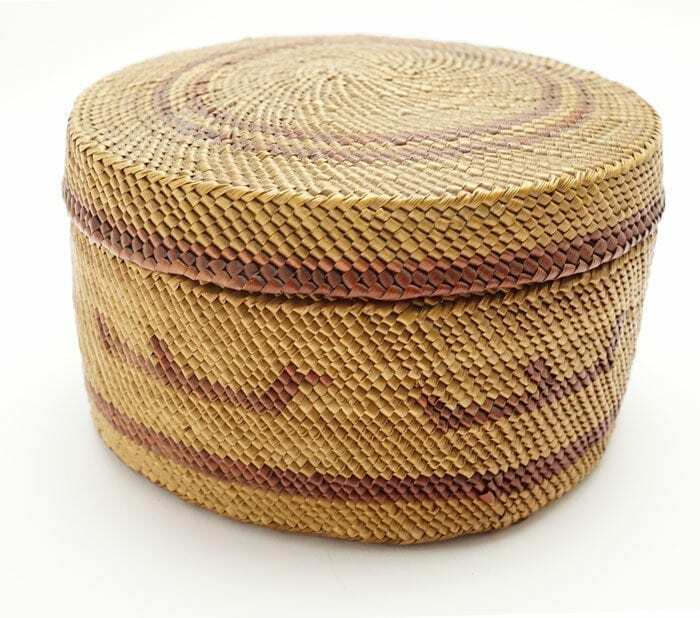 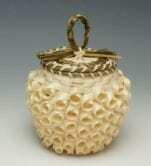 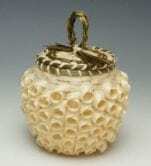 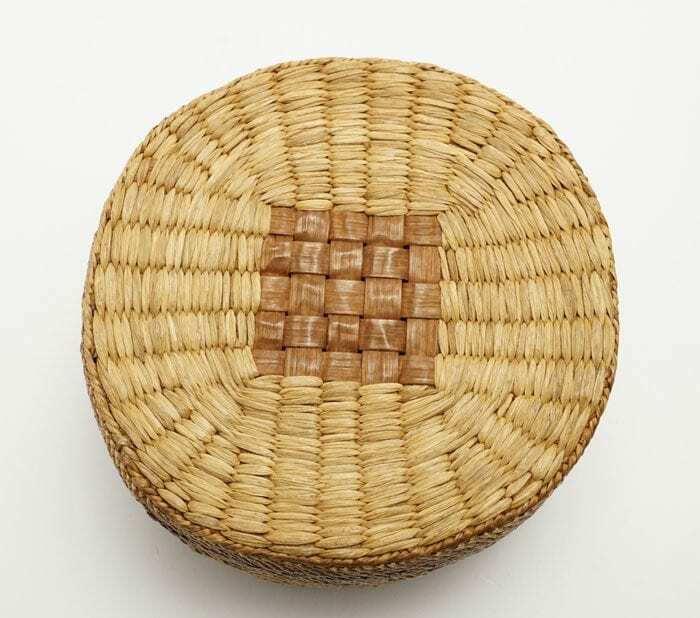 This basket was collected in Alaska and dates back to the middle of the 20th century. 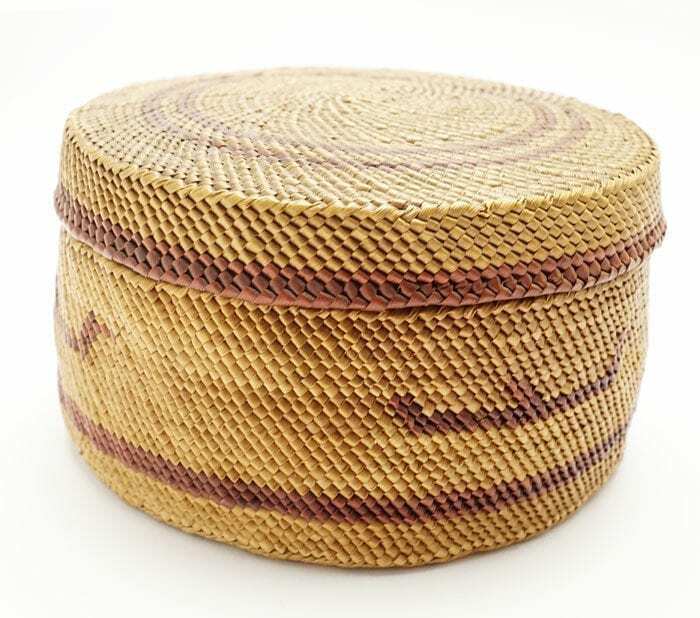 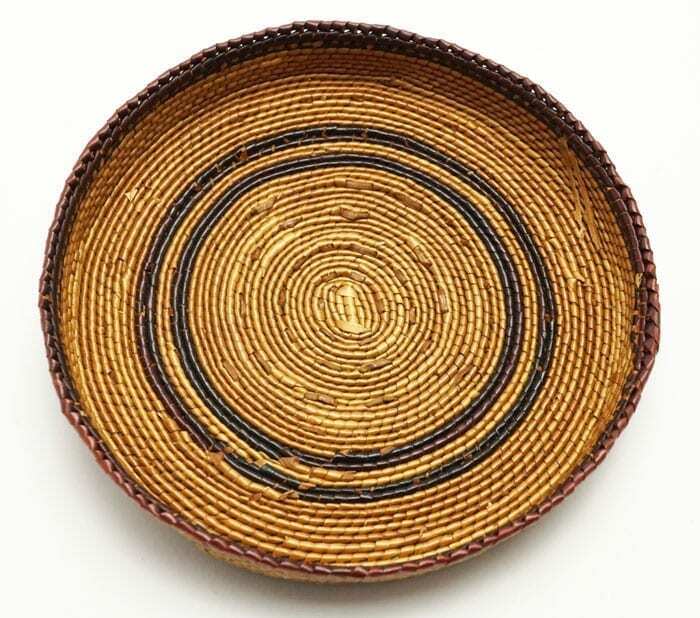 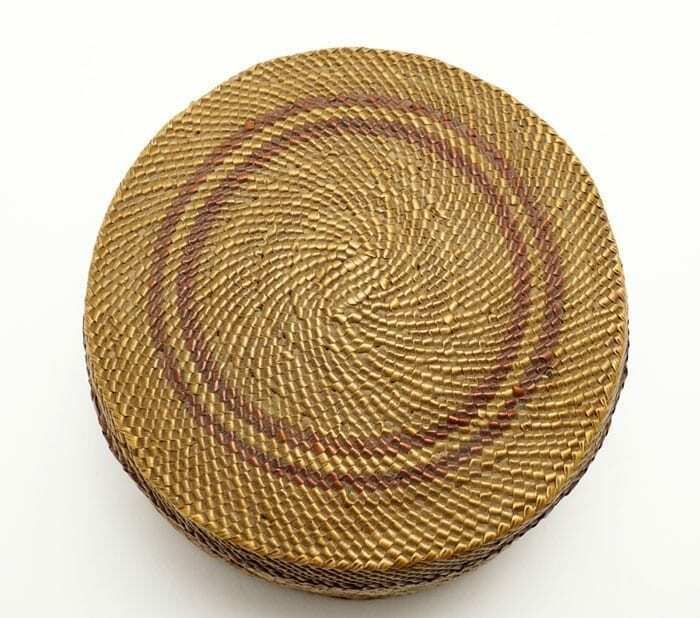 Baidarkas are woven around the perimeter of the basket. 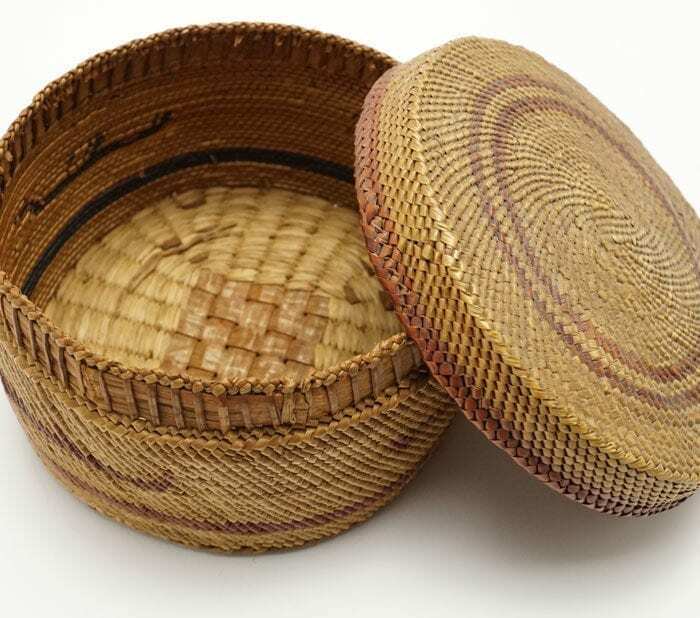 Wide cedar splits are along the bottom. 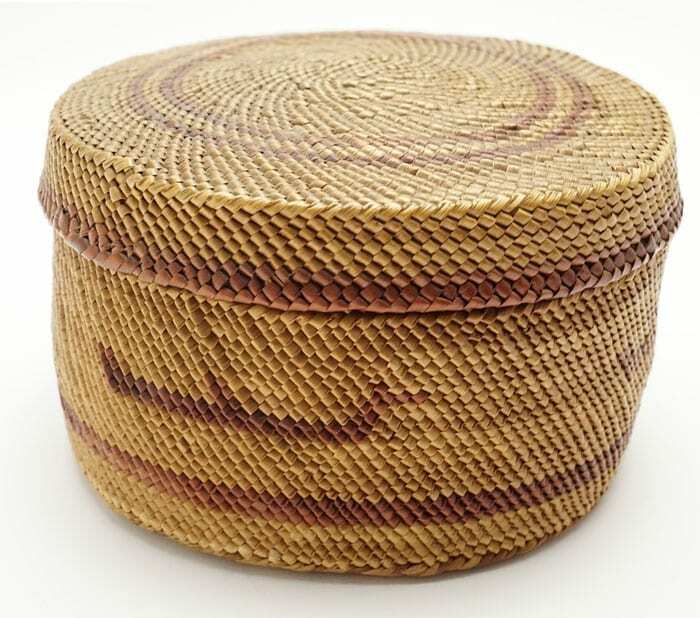 The basket is in good condition, with no notable loss of material.